There are different kinds of money. Some comes from labor...It's called wages or "earned money." Money that comes from departed relatives is called "inherited money". And money that comes by way of lottery, a contest, a drawing, or such would be called "chance money." There is also "dirty money" that would come from stolen or lost money. 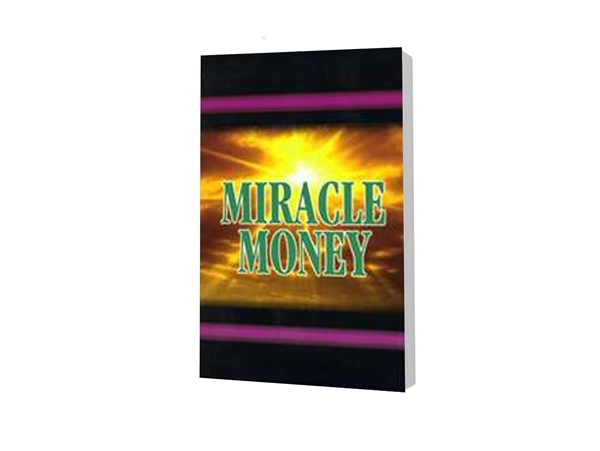 However, this book deals with MIRACLE MONEY...the special money God miraculously gives to His children. It's filled with encouraging testimonies of people who have experienced God's blessing in just this way.